Brenda has been a Personal Injury Lawyer for over 30 years. Brenda studied Law at Aberdeen University receiving her Law Degree in 1984 and Diploma in Legal Practice in 1985. She qualified as a lawyer in 1987 and now has almost 30 years of experience in representing people with personal injury claims, specialising in cases involving motorcyclists who have been injured in road traffic accidents. She has always taken a keen interest in motorcycling and obtained her full motorcycle licence in 1983. After her two children were born, she restricted her motorcycling exploits to off-road jaunts, but several years ago decided it was time to make her two-wheeled return to the road. Having dealt with the aftermath of so many motorcycle accidents, she started off with a visit to ProScot’s highly-regarded motorcycle training school. Undertaking ProScot’s motorcycle refresher training and the Enhanced Rider Scheme gave her back her confidence and brushed up her riding skills. To ensure she was as good as rider as possible, she then completed several advanced courses run by John Macdonald of ProScot, including ProScot’s Cornering Skills course, which involved two days riding on some of the best roads in Britain. Although it’s not compulsory for a motorcycle accident lawyer to ride a motorcycle, she considers riding a motorcycle to be an important part of her role as it provides her with a full understanding and appreciation of motorcycle dynamics and control. 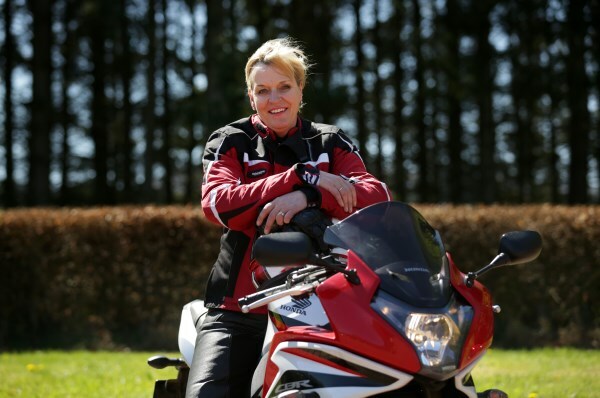 Brenda set up Motorcycle Law Scotland in 2011 in order to provide a bespoke service to fellow motorcyclists. As can see seen in the video below, she is passionate about ensuring motorcyclists, injured through no fault of their own, receive the compensation they are entitled to. She strongly believes that a first class service and personal representation from experienced lawyers really does make a difference - not only to the outcome of a case but also to the motorcyclists and families involved. Recognising her success and expertise as a specialist Lawyer, Brenda was awarded Solicitor of the Year 2013 at the Law Awards of Scotland. She has also been shortlisted as a finalist for "Solicitor of the Year" at the Scott & Co Awards 2016. 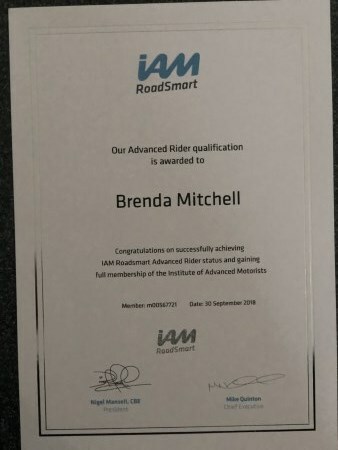 Brenda has passed her IAM Advanced Motorcycle test.